Big Bird reads a story as the words are printed along the bottom of the screen allowing children to read along with the program. In this trio of stories, Bert has had enough of Ernie's messy ways and kicks him out. After living with several other friends, Bert and Ernie decide they do like living with each other and learn to tolerate each other's ways. 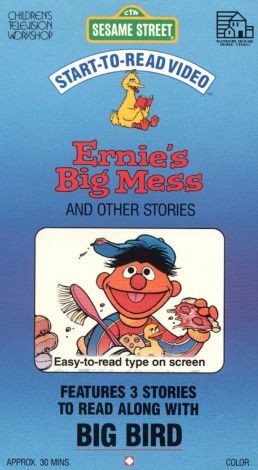 The three stories featured are "Ernie's Big Mess", "Nobody Cares about Me" and "My Doll's Lost".